Well, unique and kinda impossible, but still, when was the last time you took a break from your busy everyday life to sit down and let your imagination run wild? In Luke’s case, the reason for his escape from reality is that of a broken heart, which causes him to reflect on life, the universe and everything. 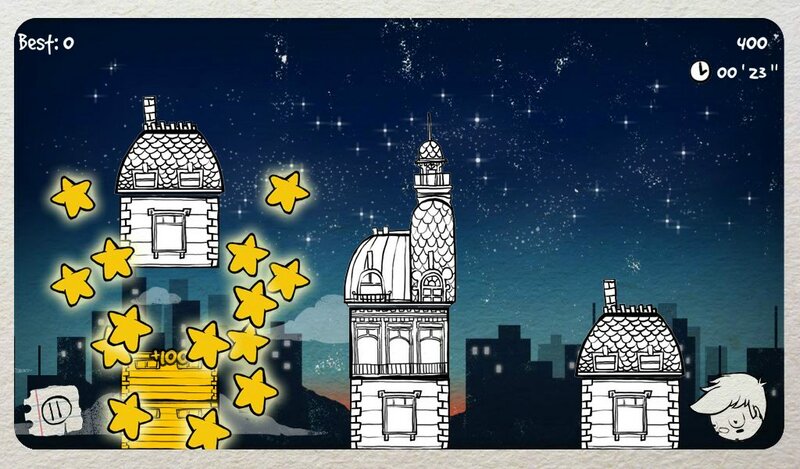 To help clear his head he decides to go stargazing, only to find that his view is blocked by the tall buildings in the city, a problem only a very active imagination can solve and this is what the game is all about. Hope you’re ready for a surprise, because here’s a shocker: Luke at the Stars, the first release from Alpaca Team, is a puzzle game in which you combine the floors of buildings to make them disappear, in order to give poor heartbroken Luke a clear view of the night sky. This is done by way of a simple swapping floors across three constantly growing buildings in order to match two or more floors and clear them, which in turn will reveal more of the story. Alternatively, you could try the endless/survival mode instead, which boils the gameplay down to its core – toppling tall towers. Helping Luke will set ya back $1.99 on Google Play if you’ve got an Android device, and those with a BlackBerry can grab it from BlackBerry World. Don’t forget to visit Alpaca Team’s website and tell them what you think about it, should you decide to pick up Luke at the Stars!